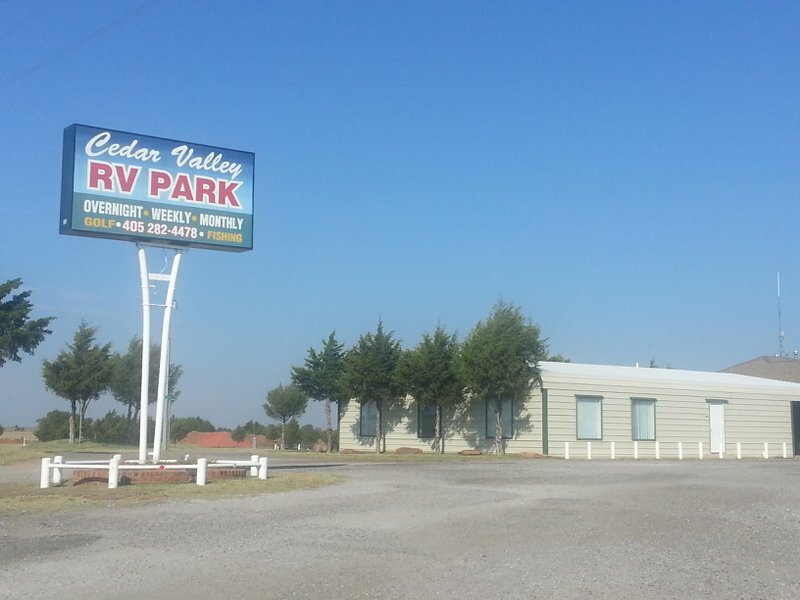 Close to I-35 and less than four miles from the center of Guthrie, the Cedar Valley RV Park boasts 91 full service, pull-thru sites. 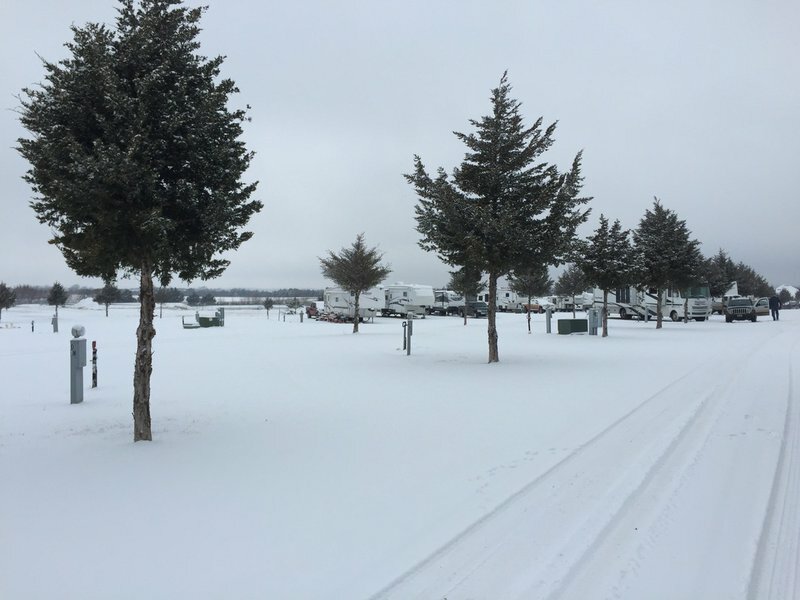 Offering 30 and 50 amp service, each site at the campground has a concrete pad, long enough to accommodate up to 70 foot RVs and wide enough for safe pop out deployment. While staying at Cedar Valley enjoy free WiFi, on-site laundry facilities, a horseshoe pit and both restrooms and showers. Small pets allowed. 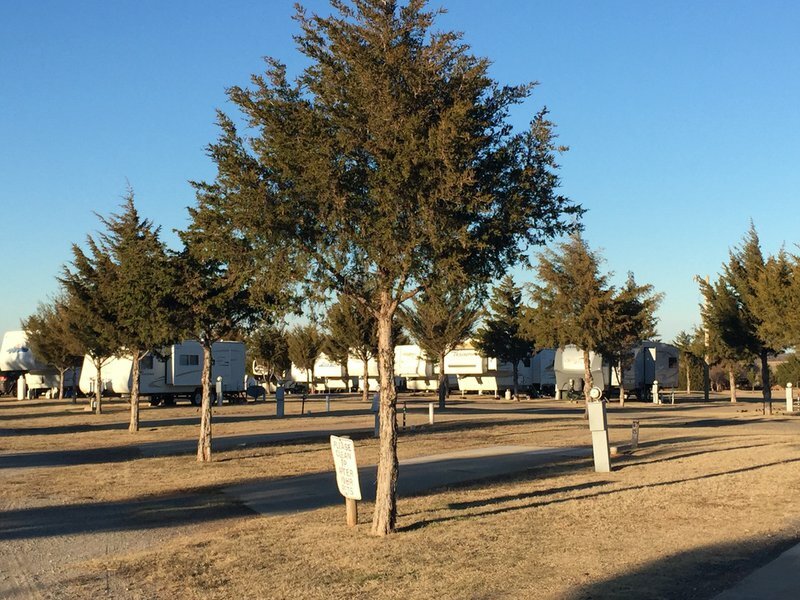 RV site: $35 per night While every effort has been made to ensure the accuracy of the pricing listed above, prices are subject to change without notice. From I-35, take exit 157. Continue six miles west on Highway 33/Noble Avenue. Park is located two miles west of Guthrie.